Giveaway!! 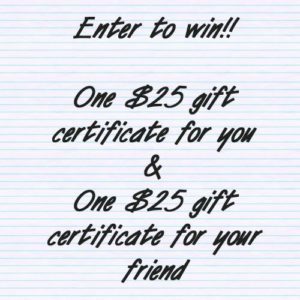 Win $25 gift Certificate for YOU and a FRIEND! We are ready for another fun giveaway! This is the year to celebrate The Boy’s Store, and what better way to celebrate than with free gifts for our favorite people…YOU! Right now you can win a $25 gift certificate for you and a friend! All you have to do is head over to our Facebook and/or Instagram. The giveaway will end on April 30th. This is not a Facebook or Instagram affiliated giveaway. We are offering this awesome giveaway to our favorite customers until April 30th. We love you all and are so excited and proud to get to do what we do everyday, so we are giving back in the best way possible. Hurry in now to enter and share what item you would want! This entry was posted in boys clothing, General, Shopping and tagged 25 gift certificate, boys clothes, Boys pants, boys shopping, boys store, boys tees, facebook, Giveaway, Instagram, the boys store, win on April 21, 2016 by Lacy.